Cycle Sport’s Our Man in the Bunch series ran through the 2012 season, to popular acclaim. An anonymous professional rider sent us a series of dispatches from the peloton, covering all subjects from money, through media to management and more. We reproduce the series here. Cycling team managers are the face of the whole outfit. They are the people chiefly responsible for its success or failure, the happiness of its riders and staff and the value of a squad to its sponsors. Think of the ones that spring to mind: Bjarne Riis, David Brailsford, Patrick Lefévère, Johan Bruyneel, Jonathan Vaughters. Each has achieved a lot with their respective teams, yet it’s hard to think of a more eclectic mix of personalities, backgrounds and management styles. I’ve been racing for over 16 years now, through the amateur and professional ranks, and I’ve certainly experienced my fair share of different characters on that journey. Some have been warm and friendly, others have ruled with an iron fist; some were hands-on, others aloof. One of my first managers was a Belgian. It was a small team, so his role was wide-ranging: general manager, directeur sportif, training advisor — I think he even saw himself as team psychologist, regularly pointing out flaws that we didn’t even know we had (suggested solutions were less forthcoming). 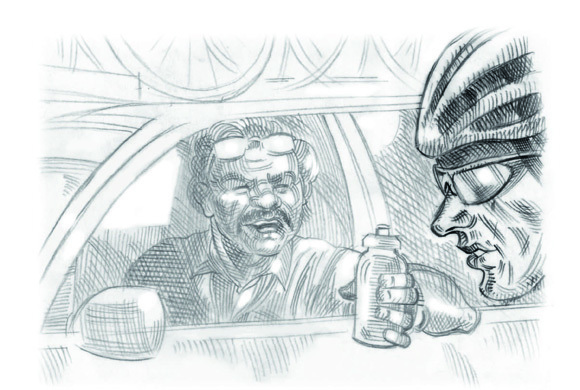 Both he and his family were steeped in cycling tradition, the sport was all he knew and all he wanted to know. He was very much of the ‘what worked for us, will work for you’ way of thinking, shunning anything even slightly innovative. Heart-rate monitors were banned in his team; in his opinion, kilometres and hours were all we needed. He once spent almost an hour trying to convince me that toe-clips and straps were still superior to clip-in pedals, and that sooner or later they’d make a sweeping return to the peloton. As a young rider keen on researching and experimenting with new training methods and equipment, we clashed constantly during my time on the team. In my experience, the managers of smaller teams have always appeared to be the most passionate. They don’t have the staff available in order to delegate tasks, so their role incorporates everything: sponsor liaison, general manager, directeur sportif on the road, running the team’s service course, logistics and travel arrangements — the list goes on. They are there for the love of the sport, surviving financially on a year-to-year basis and watching their best riders move on to bigger teams with little or no reward. It’s hard to argue with their opinions or intentions because, more often than not, they are doing their best to give young riders the experience and racing they need as a stepping stone to the next level. It’s for this simple reason that creating a team, rather than a group of individual riders, is particularly hard at this level. You could spend a whole season working for the best rider in a small team who is poached by a top team in the winter, with no recognition or promotion for those around him. A few years later, albeit on a much bigger and newly formed team, I experienced the polar opposite. This time, the manager had no background in cycling, coming instead from many years of experience in other sports. In some ways, his approach was similar to that of Team Sky principal David Brailsford, constantly questioning principles and traditions which the rest of the team adhered to out of habit. It seemed like hard work, especially for the staff, mechanics, soigneurs and directeurs, who felt that they couldn’t complete even the simplest task without being asked if there was a better way of doing it. I remember one stage race where, despite trying every tactic in the book, we were unable to dethrone the race leader despite having two guys very close on the general classification. The manager came in to see my room-mate, something of the team tactician, and me, saying that we needed to think outside the box, do something that nobody would be expecting. Opening his laptop, he brought up YouTube and showed us a clip of the French Open match where Michael Chang served underarm, catching his opponent so much by surprise that he won the point and went on to take the match. Shutting his computer, he looked at us expectantly, waiting for one of us to immediately come up with cycling’s equivalent of an underarm serve. We were both so stunned that all three of us sat awkwardly in silence for what felt like an eternity. Alas, we failed, both in finding a similarly radical tactic and in winning the race: sometimes in cycling a rider is simply too strong and there is nothing you can do to beat them, however clever you try to be. Another of my early managers was particularly old-school, ruling the riders by fear. Step out of line in any way and you would often publicly receive a stern dressing-down. Interestingly, this tactic really seemed to work for a couple of the more wayward riders on the team, who had relied simply on raw talent in their early years and not reached their full potential. Gone were the days where they could slip out of a training camp or race and have a couple of drinks on the town without reprimand. They were kept in line throughout the season, the results spoke for themselves and they stepped up a level, to where they should have been all along. On the other hand, there was one rider on the team who didn’t respond at all well. Naturally quiet and self-critical, he took everything to heart and was often visibly depressed at races. I felt sorry for him: he was a hard worker and always gave his all for the team. To be fair to the manager, he did give credit and encouragement when it was due, but out of 10 comments, this particular rider would focus on the one criticism rather than the nine compliments. One advantage of having such a hands-on manager was that you knew where you stood, good or bad. He’d let his thoughts be known and you could respond accordingly. I found him much easier to deal with than with another manager I had who we barely saw all season. He seemed to view his role as central coordinator, rallying the troops from head office and virtually using the directeurs as messengers. The problem for many of us was that we often found out his thoughts in the media before we’d heard them ourselves. I think he was just afraid, in some ways, of making enemies with anyone in the team and criticising people face to face. Having experienced such a wide range of characters in teams I’ve ridden for, it would be easy for me to sit here and say that I think I could do a better job. Would you ever see me running a team? I would love to, but it would depend on whether I find a sponsor to come into cycling and give me that chance. I don’t think there can be much that’s more satisfying than building up a new team, completely from scratch. Ultimately, the most important elements of being a good team manager are having good people skills and realising that each rider is different. Some need constant attention, cajoling and encouragement, some respond well to the occasional kick up the backside and others are at their best when left to their own devices, placing enough pressure on themselves without need for outside motivation. Cycling is a team sport, and if you’re able to create a squad full of happy riders, then you’re unlikely to go wrong when it comes to results.